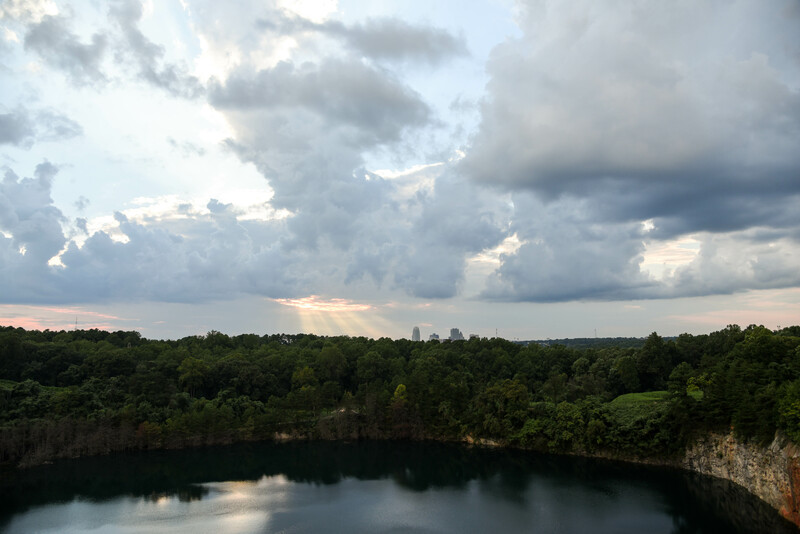 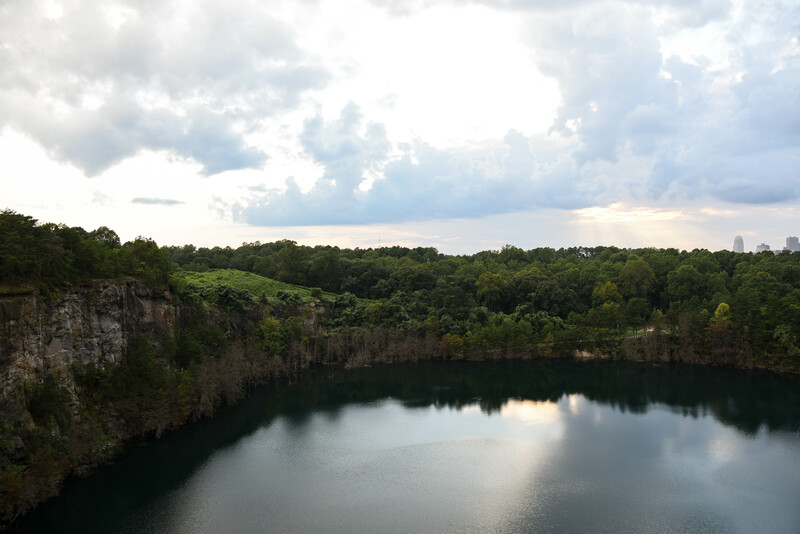 A few years ago I found out there was a secret abandoned rock quarry in my city. 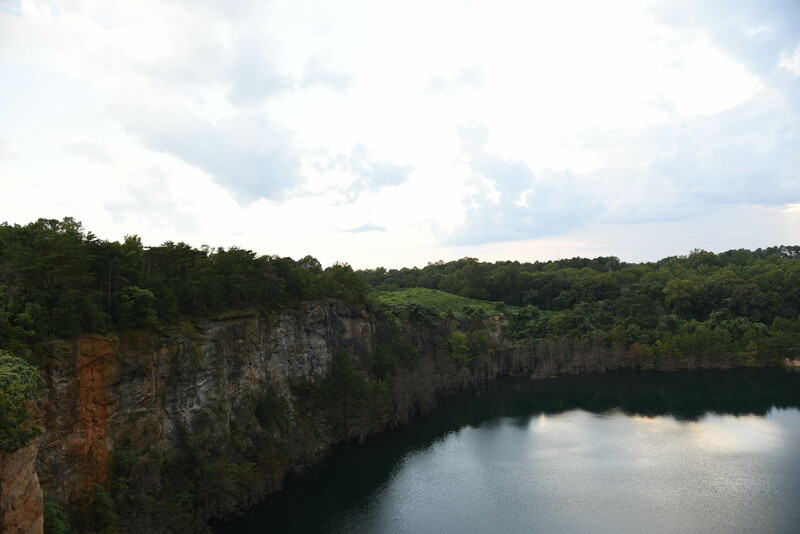 I figured out where it was and wanted really badly to go and explore it. 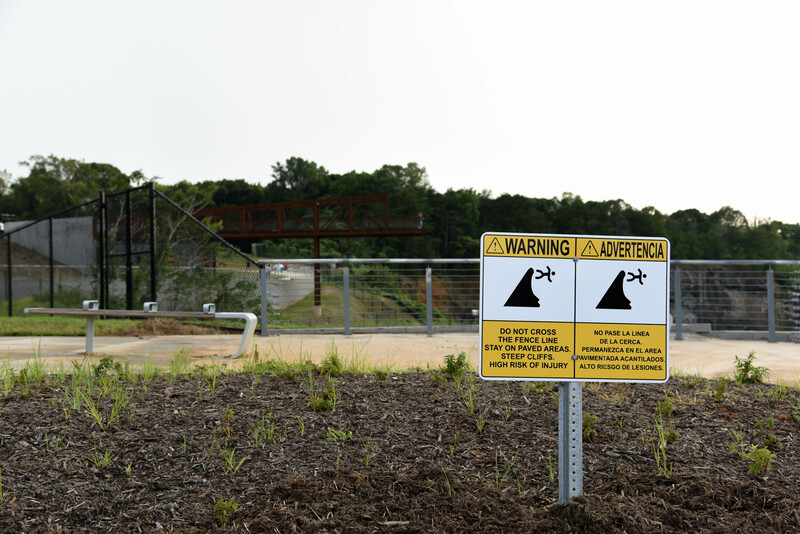 But the mysterious rock quarry was completely fenced in with intimidating signs and cameras. 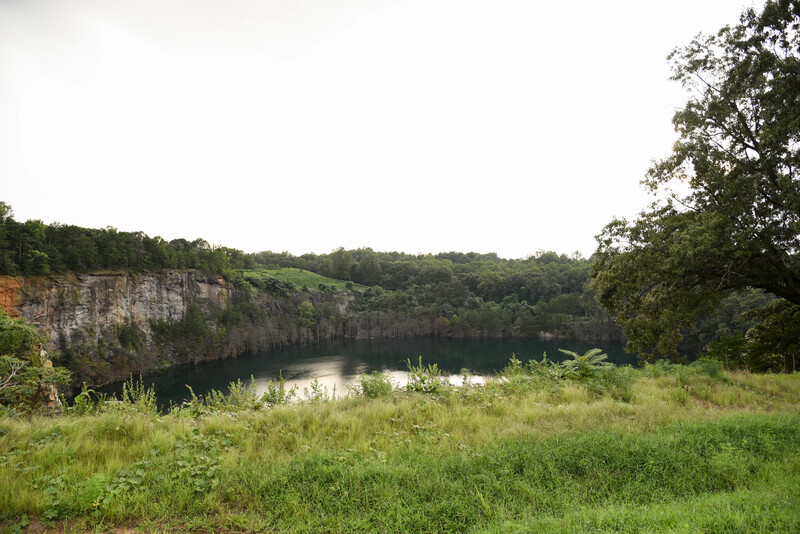 I may have still tried to sneak past if I hadn't also heard that the quarry was soon going to be turned into a park. 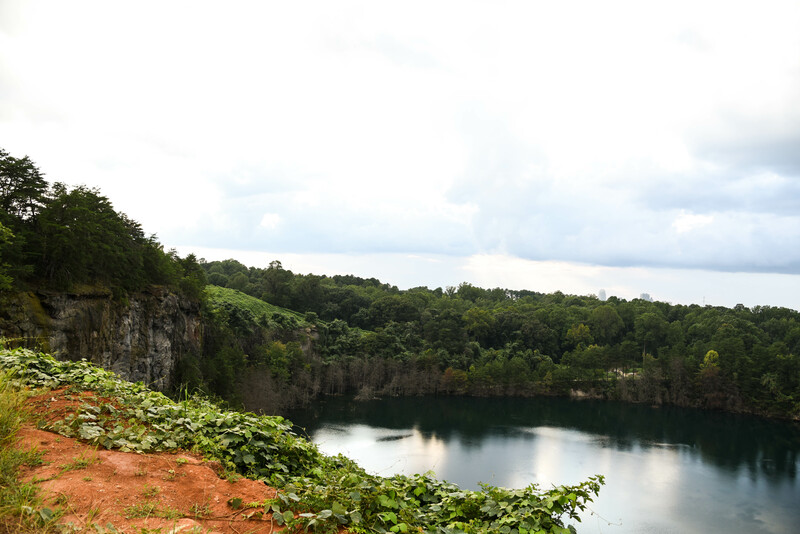 So I decided to wait until the quarry was open to the public instead of sneaking in. 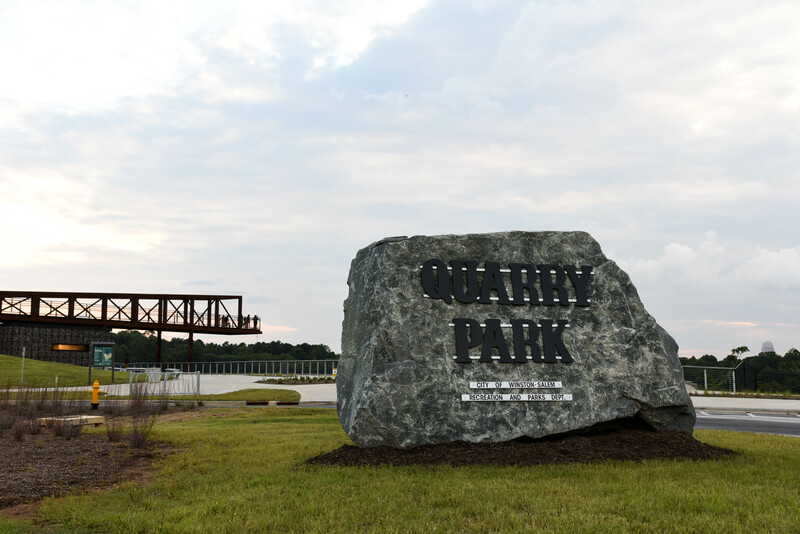 Three years later the wait is over the the quarry is finally open. 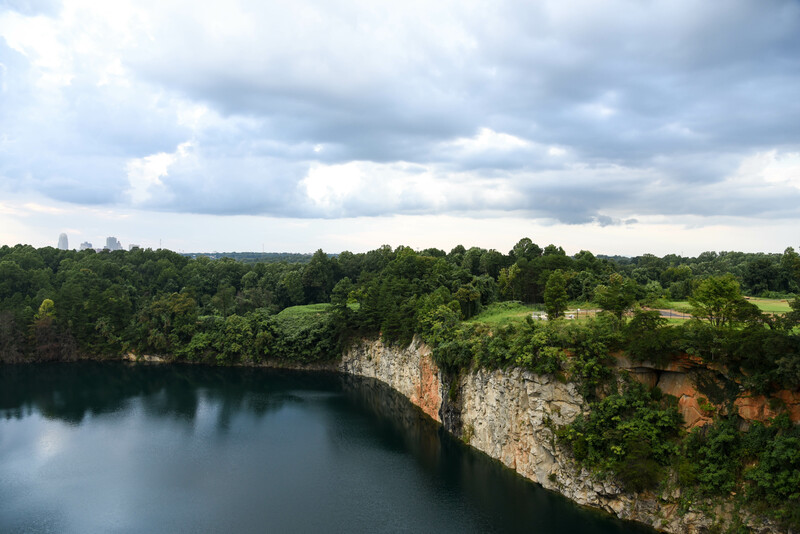 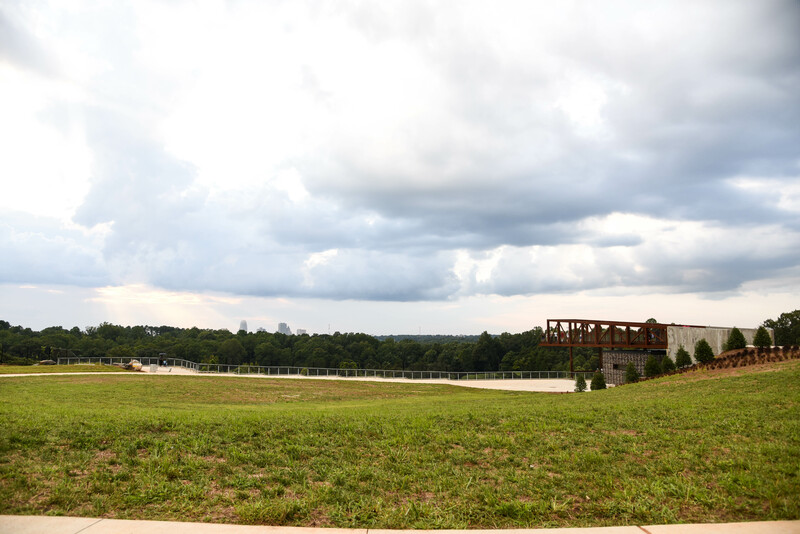 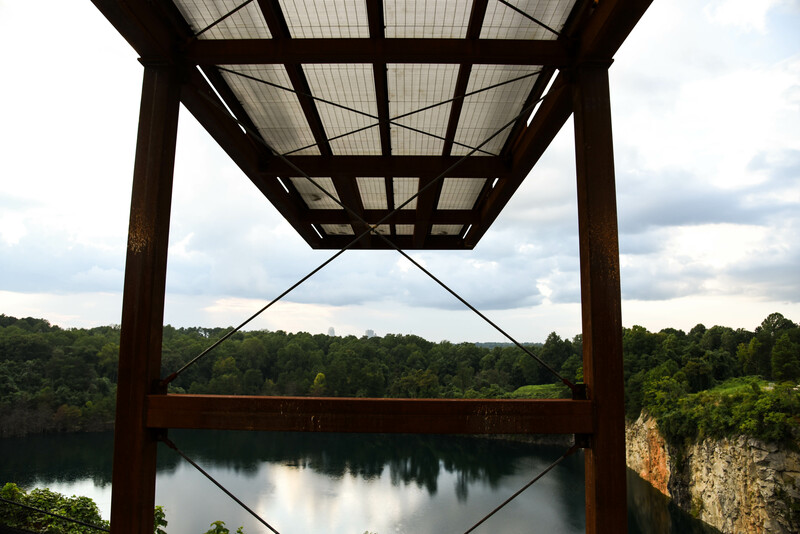 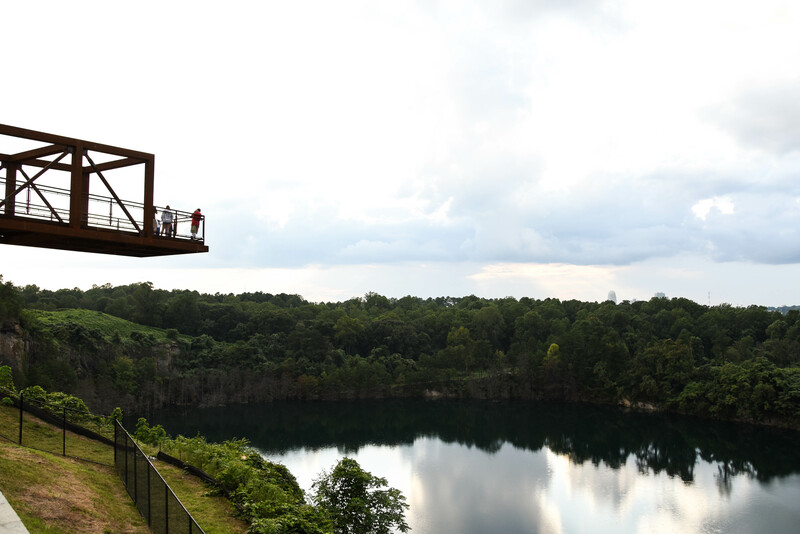 It is a simple park, with large fields, a few places to sit, and one big overlook that extends to the very edge of the rock quarry, with a view of downtown and the mountains that surround the city. 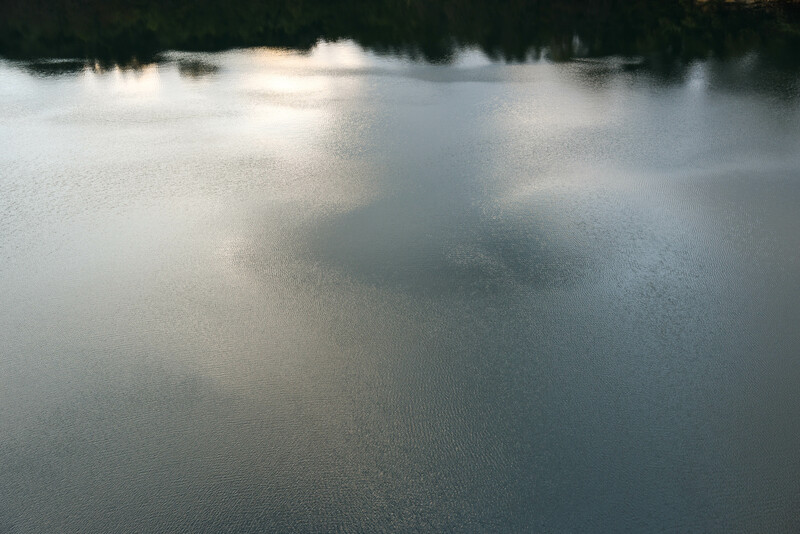 The water is so still, and looks like a layer of glass. 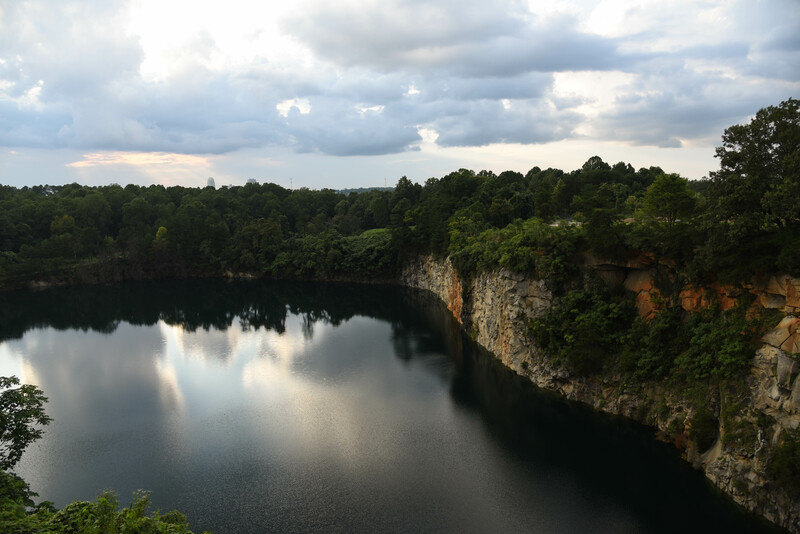 Apparently many construction vehicles are submerged underneath the quarry's glassy surface. 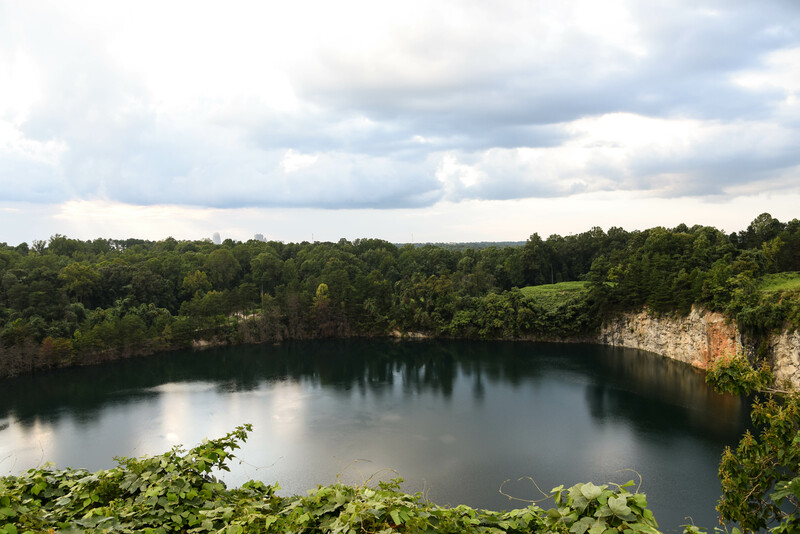 There are also rumors of cars and bodies that have reached their final resting place at the bottom of the quarry! 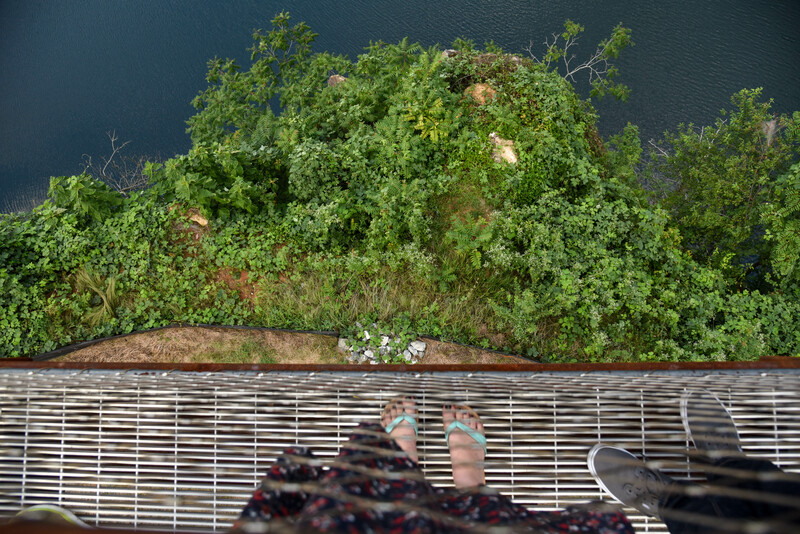 I would love to know for sure what is down there. 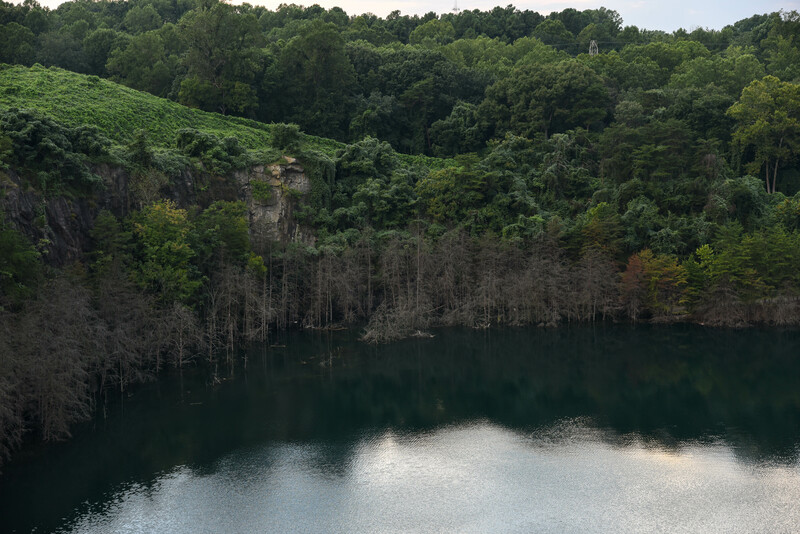 The quarry was in operation from the 1920s to the 1970s, when it filled up with water and remained that way, causing the stone mining to stop for good. 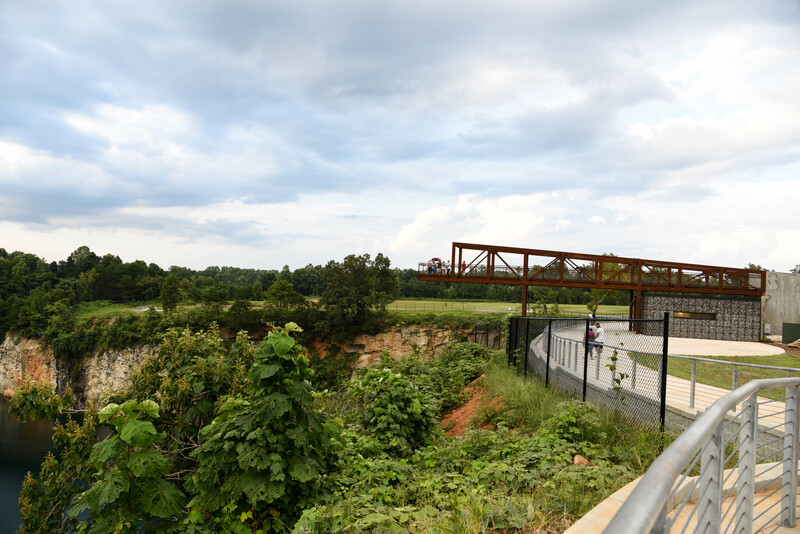 I'm glad they decided to turn this interesting feature into a park instead of keeping it closed off.